Il nostro calendario è aggiornato in tempo reale e le nostre tariffe notturne sono accuratamente visualizzate. Basta inserire le date desiderate e fare clic su "Prenota ora!" 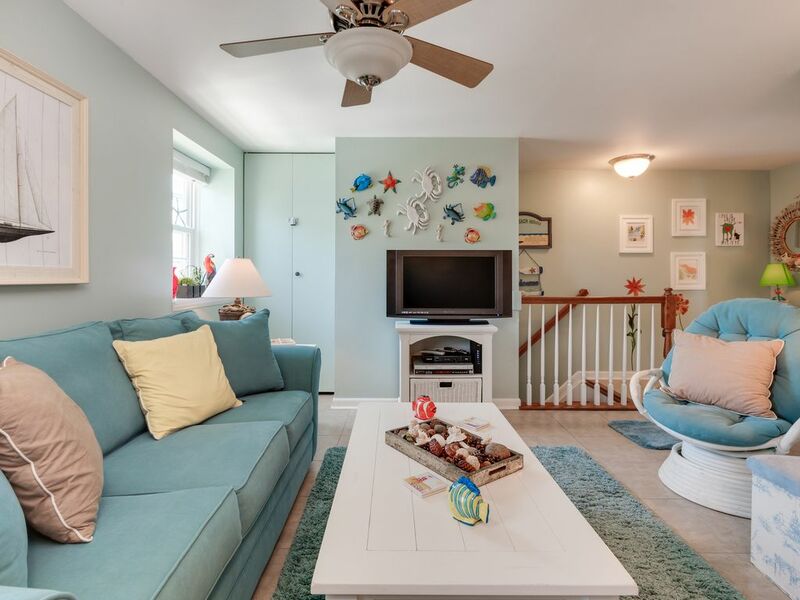 Venite a rilassarvi in ​​questo condominio Ocean City recentemente rinnovato. All'interno, troverete una cucina luminosa con nuovi elettrodomestici e armadi, backsplash accento pietra, tutte le nuove finestre e persiane integrate. La piscina condivisa può essere vista direttamente dalla camera da letto per tenere d'occhio i bambini. Questa casa si trova a due isolati dal lungomare e dalla spiaggia e si trova vicino a ristoranti, divertimenti e un negozio di articoli vari. Durante i mesi estivi, porta tutta la famiglia al Jolly Roger Amusement Park e al Splash Mountain Water Park a circa 800 metri! Questo noleggio si trova al 2 ° piano. Note sul parcheggio: c'è un pass per il parcheggio per uno spazio segnato 1201-13 nel parcheggio del Royal Palms Court. Il pass parcheggio si trova nell'unità e deve essere restituito all'unità prima del check-out. Il parcheggio in strada è disponibile anche in base all'ordine di arrivo. Accesso all'acqua: camminare per due isolati a est di St. Louis Ave e Philadelphia Ave. Si prega di attraversare solo ai crosswalk designati. Overall decent experience. The kitchen was fully stocked with all the amenities you could need, aside from a dishwasher. The place is pretty small, but good for 2-4 people. 4 would be a stretch with the small bathroom, but it’s doable. The neighborhood is pretty quiet and it’s walkable to the boardwalk. Tips for future visitors: Grab your groceries on the way into Ocean City, since there are no grocery stores nearby. Bring some dvds. The DVD player in the bedroom works and we left 2 dvds behind. This was nice for a night in. There is a dvd/vhs player in the living area, but we were unable to get it to work. Tips for the owner: The place would benefit from a good deep cleaning session. We found dishes from previous guests that weren’t well cleaned and some dusty build up in the corners of the place. Thank you for your review. We will pass along your concerns to the manager. We hope to host you again soon! Great apartment in a good location on lower end of OC MD. Comfortable and well appointed. Kitchen had everything needed even a corkscrew. Close to everything! Pool was nice for the kids. The list rate at last minute booking was amazing. Was better than a hotel stay. Was able to leave my car parked and Uber my family to dinner and mini golf. Even though you can actually walk. Always have a good time in OCM...Thanks! Relaxing and clean place to stay! My boyfriend and I just stayed here for a few days- we really enjoyed our stay! The condo was clean and a quick walk to the boardwalk. The pool was nice and clean and a quiet retreat from the busy boardwalk. The place was a nice size and can easily sleep 4-6 people. Nice looking place it just needs a little more cleaning. I stayed here for two nights. My first impression was what in the world is that horrible smell. I think the place has too many rugs and make the apartment smell because once I got up the stairs I looked around, and went into every room and everything was very clean. I just went to the CVS near the unit and brought some air freshner's. After I decided to set back, and watch TV as I was by myself. They had throw blanket's in a basket under the cafe table so I picked one up, that smelled really bad. A little wash goes a long way. Other than that my stay was okay. We appreciate this feedback and apologize for any unpleasant odors. We have done a thorough walk through of the home to ensure nothing is the source of bad smells. We hope to have this guest stay with us again, and we invite our guests to please call if anything is not as it should be. Thank you! Love the condo. The only problem was getting the TV to work and connecting to the internet.